Picture of the 34th Fighter Squadron. from Ie Shima Island North West of Okinawa. 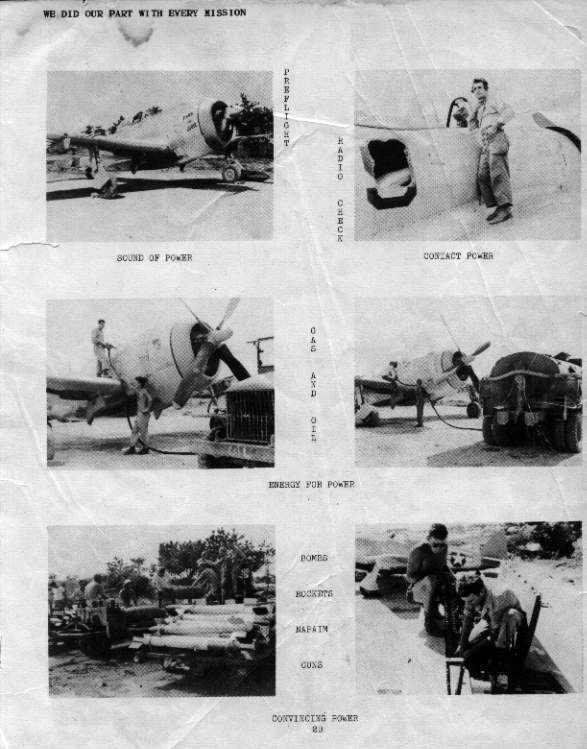 The 34th Fighter Squadron Yearbook Page 29. P-47 Thunderbolt Aircraft Operation Before Flight. and Machine Guns (Convincing Power). This is the P-47 Thunderbolt Aircraft Operation Before Flight. You will see all of these in these pictures. Click on picture below for close-up views.